Israel’s Public Security Minister has linked the Boycott, Divestment and Sanctions (BDS) movement with terrorism and is threatening German banks using tactics previously employed against Al-Qaeda. To bring about this “increased awareness,” a taskforce headed by Erdan was launched last year at the cost of 100 million Israeli shekels ($25.5 million) that has been successful in impacting the laws, policies, and enthusiasm for enforcement in a number of countries, particularly the US and UK, where a number of anti-BDS restrictions have employed “anti-democratic” and “discriminatory” methods to clamp down on the movement. Ironically, while Erdan is threatening BDS activists with one set of laws, the global grassroots movement is actually trying to pressure Israel to “comply with international law” through the boycott of products and companies that profit from the violation of the rights of Palestinians, particularly violent land grabs. Inspired by the BDS movement that helped end South African apartheid, supporters of this campaign, which includes Jewish activists contrary to the accusations of anti-semitism, believe it is the only way to push for a solution to the Palestinian-Israeli conflict. Here are the countries Erdan is counting on to be Israel’s enforcers in its global crackdown on the “terrorist” boycotters. Legislation has been introduced at local, state, and federal levels targeting BDS movements. At least 16 anti-BDS initiatives were introduced in the US in 2015, including the Trade Promotion Authority legislation that discourages European governments from taking part in BDS activities by threatening to cut off their ability to engage in free trade with the US. Illinois passed an anti-BDS state law that created a blacklist of foreign companies from which the state pension must divest its funds. South Carolina bans state business with companies engaged in boycotts. Other anti-BDS bills have been introduced in Congress, New York, New Jersey, and Pennsylvania. New York state currently has legislation on the table, just in time for the New York primary, that would ban state business with companies involved in boycotting Israel, including international banks. Earlier this year, Canada passed a motion condemning “any and all attempts” to promote BDS. The country’s new leader Justin Trudeau said the movement had “no place on Canadian campuses” and fully supported Israel’s 2014 Operation Protective Edge against Gaza, despite his “liberal” outlook. The UK has had its fair share of BDS victories in the past. Leicester City Council adopted the boycott policy in 2014 along with the National Union of Students the following year. BDS is banned in France as part of a general law that classifies the boycott of a nation or its citizens as a hate crime. It is illegal for councils or legal bodies to boycott Israeli goods. Last November, a small group of French activists were found guilty of provoking discrimination after holding a small rally calling for the boycott of Israeli goods. They were sentenced to pay €12,000 in damages to the plaintiffs, as well as legal fees. 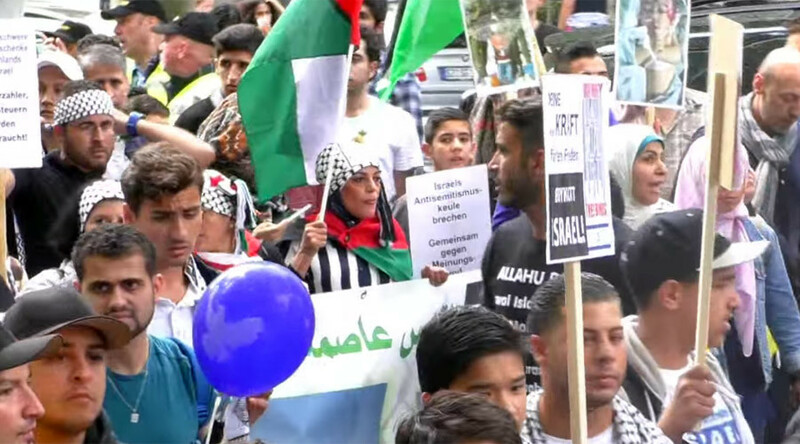 While Germany doesn’t have a specific law banning the BDS movement, DAB Bank in Munich announced in February that it would cancel BDS-Kampagne’s account as of next week. DAB is owned by French BNP Paribas.